SORRY BUT THIS ITEM IS TEMPORARILY UNAVAILABLE. 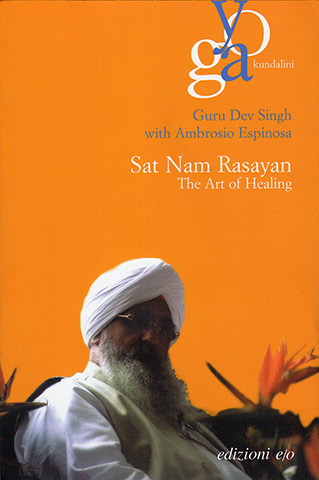 In Sat Nam Rasayan Guru Dev Singh explains how he was introduced to this traditional eastern healing art by Yogi Bhajan. Using purely awareness, the act of healing is brought about by an altered state of consciousness known as the Sacred Space. 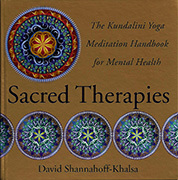 This book teaches healing through meditation. The healer does not bypass any steps, nor does he interpose in the ebb and flow of events. He or she meditates, and while meditating employs awareness to melt away the resistance of the person seeking a cure. The shift in the astral chart which accompanied the transition to the Age of Aquarius has also brought about profound changes in the human psyche, in the experience of everyday lives, and everyone's way of thinking about their lives. Sat Nam Rasayan, which means healing in the name or deep relaxation in the divine name fits right in to these changes, the natural technique for these times. Yogi Bhajan was the door, the master who made this spiritual healing accessible to us. There is nothing miraculous about it. Sat Nam Rasayan is a completely natural process. The healer simply takes away the resistances which stand in the way of the person who is undergoing the healing. In 1978, Guru Dev Singh began studying Sat Nam Rasayan in the traditional way, in silence and seated beside his master, Yogi Bhajan. It was this same master who asked Guru Dev to find a way of teaching this method widely, employing a means that would be accessible to all, the word.